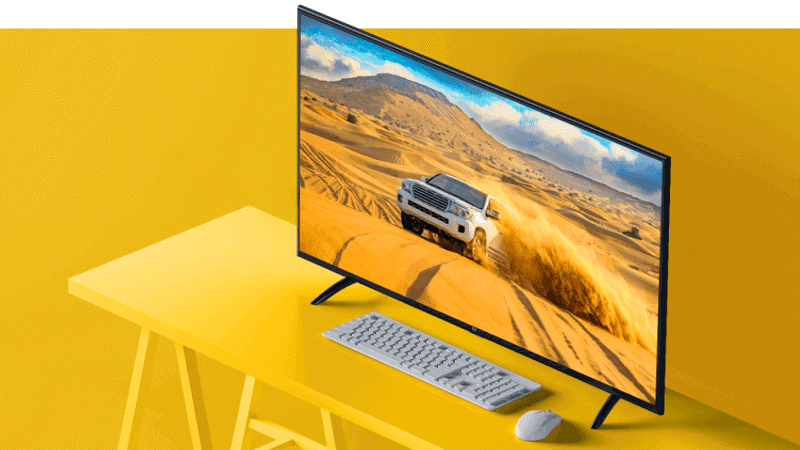 After the launch of Mi LED Smart TV 4 (55 inches) Xiaomi has announced its new Mi TV 4A series in India today named Mi LED Smart TV 4A 32-inch and Mi LED Smart TV 4A 43-inch. Both the Mi TV 4A comes with 11-button Mi IR Remote. The device features a quad-core 1.5GHz Cortex-A53 processor with 750MHz Mali-450 MP3 GPU and is powered by an MIUI TV based on Android with PatchWall. It sports a 32-inch (1366×768 pixels) HD LED display and packs a 1GB of RAM, 8GB of internal memory. The 32-inch Mi Smart TV 4A also has a 2 x 10W dome speaker, USB 2.0 x 2, 3 x HDMI (1 contain ARC), Ethernet, WiFi 802.11 b/g/n (2.4 GHz), and AV. The device comes with more RAM, i.e., 2GB DDR4 dual-channel RAM, 8GB internal memory (eMMC 5.1). A quad-core 1.5GHz Cortex-A53 processor powers the 43-inch Mi LED Smart TV 4A with 750MHz Mali-450 MP3 GPU. It packs a 43-inch (1920 x 1080 pixels) Full HD display and is powered by an MIUI TV based on Android with PatchWall. It also features with a 3 x HDMI 1 contain ARC), 2 x 10W dome speaker, AV, WiFi 802.11 b/g/n (2.4 GHz), USB 2.0 x 3, and Ethernet. The 32-inch Mi TV 4A will be made available on Mi.com, Flipkart, and Mi Home Stores starting from March 13th and the 43-inch Mi TV 4A from March 16th. The Xiaomi Mi TV 4A 32-inch is priced at Rs.13,999, and the Mi TV 4A 43-inch is priced at Rs.22,999.